Our qualified team is committed to bringing superior service on every level to the Warmblood breeding community. Dr. Hansen has been interested in horses since his teens. He first pursued a career as a farrier in Nebraska after attending Oklahoma Farrier College. After being exposed to the equine veterinary medicine world while working for a year, Scott decided to become a veterinarian. He continued to work as a farrier while attending Iowa State University College of Veterinary Medicine until he graduated in 1980. He then moved to the Gresham area and opened a solo equine-only ambulatory practice in 1983, focusing primarily on race horses. Scott’s interest in lameness and surgery grew while working at the track. He opened his current hospital in 1985 with a surgical facility to be able to provide a higher quality of care for his patients. His practice has grown much larger than he had ever imagined with its emphasis shifting from racetrack work in the mid 1990’s to sporthorse and companion animal medicine and surgery. Scott has remained intrigued by equine medicine by staying up-to-date with the latest technologies and advances in the field. Throughout his practice life, Scott has found the most rewarding aspect has been the people he has met and the horses he gets to work with everyday. Dr. Hansen’s main interests have been lameness, surgery, farrier science and diagnostic imaging. Dr. Megan Rioux-Forker was born in Hawaii but soon traded tropical paradise for the liquid sunshine of Oregon. 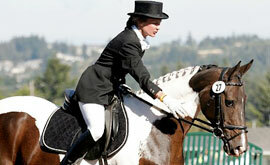 As a child, Megan competed in 3 Day Eventing in the Pacific Northwest on her off-track Thoroughbred gelding. She developed an interest in veterinary medicine after having several horses with unusual medical conditions. Megan completed her undergraduate studies at Oregon State University, where she also played on the Varsity Polo team. She then spent time living and traveling in Morocco on a State Department scholarship where she wrangled camels and traveled with nomadic tribesmen in the High Atlas mountains. Upon her return, Megan commenced veterinary school at Colorado State University. During veterinary school, she worked in infectious disease research to support her horse habit, testing birds and waterfowl throughout the US and in Indonesia for Avian influenza. She also spent time at a clinic in Luxor, Egypt, providing free veterinary care for the working horses and donkeys of the region. Dr. Rioux worked in an equine clinic in Canada following graduation from veterinary school before moving back to the Pacific Northwest. Although she enjoys all aspects of general practice, Megan is especially enthusiastic about pain management, becoming certified in Medical Acupuncture in 2012. Other career interests include diagnosis of lameness, physiotherapy & rehabilitation, biologic modalities including stem cells, neurologic abnormalities, ophthalmology and working equids. Megan’s interests include languages (she speaks 5 with varying degrees of success), traveling to places that she can’t pronounce, coffee and riding her horses. Billy Hodge, MRCVS, DVM is a 2007 graduate from Liverpool University vet school in the UK. He under took a diverse 1 year internship in equine anesthesia, lameness, diagnostics and critical care. He then shifted towards an ambulatory position for 2.5 years where he expanded his knowlege working along side diplomats in surgery and medicine managing an equine clinic in the UK. He finished in the UK working as an in-clinic veterinarian dealing with anesthesia, MRI, lameness and diagnostic imaging. He returned to the USA in 2012 and has run a satellite clinic in New York working on sport horses, pleasure horse and race horses performing all lameness aspects, diagnostic imaging, emergency cover. His interests include lameness diagnostics (ultrasound, radiography, MRI and scintigraphy). He is currently working to gain certification in ISELP a specialized ultrasound degree in equine lameness. His other interests include emergency equine work (colic), reproduction, geriatric medicine and medicine allowing a broad range of diseases to be diagnosed and treated. 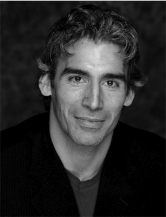 In his spare time he enjoys music, the Portland food scene, hiking, fishing and outdoor sports. He plans on climbing Mount Hood and Mount Rainier in the near future. Dr. Dave Klugh graduated from Washington State University College of Veterinary Medicine in 1981. After five years of mixed practice, he and his wife purchased an exclusive equine practice in Newberg, Oregon, in 1986. Dave’s interest in equine dentistry led him to become certified at all three levels of expertise (basic, advanced, and examiner) by the International Association of Equine Dentistry (IAED), where he currently assists in oversight of all certification procedures as a member of IAED’s Certification Committee. Megan is a Portland local who joined the practice in 2006. She grew up riding and showing horses locally at Cheveaux Training Stables in Sherwood, before attending Whitman College in Walla Walla, Washington. She moved back to the Portland area to show horses competitively, bringing home international honors in 2003. Currently, she lives in North Portland with her husband Mike, dogs Suki and Mushu, two cats and chickens. Megan spends her free time cooking, gardening and riding her Tennessee Walkers, Kojak and Penny. lexis joined Columbia Equine Hospital May 2012. She came to us with over 13 years of small animal veterinary experience and 5 years of equine practice management. Alexis moved from Rhode Island in 2004 with her rescue pitbull, Wilbur and three cats, Isabella, Beatrix and Krog. When she is not greeting you over the phone or meeting you in the office, Alexis enjoys reading, cooking, bicycling, attending Timbers games and volunteering her time with the Feral Cat Coalition of Oregon. Mallorie Scroppo was born and raised in Las Vegas, NV. She started riding horses at a young age in multiple disciplines and competing in local club shows. Mallorie went to college at New Mexico State University where she was a part of the NCAA Equestrian Team riding hunt seat as well as an instructor for the NMSU Therapeutic Riding Program. She graduated in the spring of 2011 and received her bachelor’s degree in Animal Science with an emphasis in Equine Management. Throughout high school and college Mallorie has been very involved veterinary medicine from being a kennel attendant at a small animal clinic to being a veterinary assistant in both small animal and equine vet facilities. Mallorie moved to the NW with her fiance Kyle, her husky Diesel, and her quarter horse mare Hallie and is enjoying all the new adventures of living in a different city. In March 2009 Christy was welcomed onto the Columbia equine hospital team. Christy’s professional training began at Oregon State University where she earned her bachelors degree in pre-veterinary medicine and equine sciences. With her passion in veterinary medicine she joined a small animal practice where she focused on intensive patient care monitoring, emergency, wellness, and specialty surgery. Christy enjoyed working in a small animal emergency hospital, but it was apparent her passion was in equine medicine. As a long time horseman and a licensed veterinary technician Christy quickly found her place working with the team at Columbia Equine Hospital. Christy’s aspiration to further her education in veterinary medicine and a craving for adventure she applied and accepted a seat into the doctorate of veterinary medicine program at St. Georges University in Grenada West Indies in January 2012. She studied veterinary medicine at SGU for a year and a half while exploring and appreciating Grenadian culture, agriculture, lifestyle and cuisine. Her adventure and experience at SGU was invaluable and rewarding. Through her experience at SGU she earned and accepted an offer from Oregon State University to transfer and continue her education at OSU College of Veterinary Medicine. You will see Christy helping the team at Columbia Equine Hospital during her breaks from school or out enjoying the wonderful outdoors in the Pacific Northwest. When she is not caring for your horse or studying, she enjoys spending time with her fiancée James and their Boston terrier “Muggz”. Their adventures consist of traveling, hiking, camping, photography, kayaking, and disc golf. Dr. Lisa Metcalf is the owner of Honahlee, PC. She grew up on a small horse farm in northern VA. She attended both Pomona College (Claremont, CA) and Wesleyan University (Middletown, CT), graduating with honors and a BA in Biology. She received her DVM degree from The Virginia-Maryland Regional College of Veterinary Medicine and her MS in Endocrinology from UC Davis. She is a member of the Phi Zeta Veterinary Honor Society and received the Robert M. Hogsett Memorial Award for for clinical proficiency, professionalism, and leadership. Dr Metcalf is board-certified in theriogenology, the specialty practice of animal reproduction. Dr. Metcalf served from 2001-2007 as the Oregon Veterinary Racing Commissioner. She is the immediate Past-President of the Northwest Equine Practitioners Association and on the Chairs Council of the Oregon Humane Society. She is presently on the Board of Directors of the American Association of Equine Practitioners where she has served, over several years, as Chairperson of the Reproduction Committee, and as a member of the Abstract Review and Education Committees. She is also a member of the Board of Directors of the Portland Mounted Patrol Unit. Dr Metcalf teaches equine theriogenology as an adjunct clinical instructor at the College of Veterinary Medicine, Oregon State University as well as serves on the Dean’s Advisory Committee. Dr Metcalf is an invited speaker throughout the world and has authored numerous articles, papers and textbook chapters on equine reproduction. She resides in Sherwood, OR with her husband, children, dogs, cats and horses. Her hobbies include horseback riding, skiing, hiking, cycling, and writing. Dr. Ross Cleland has extensive experience in equine reproduction and his Yamhill Equine Services practice is equine exclusive. A graduate of Kansas State University, Dr. Cleland is an active member of the AAEP, AVMA, NEPA, OVMA, and the Society for Theriogenology. At home, Dr. Ross is owned by 1 dog, 2 cats and a few or more horses. He spends his free time watching sports, gardening, cooking, and home/farm repairs, which he says never seem to end. 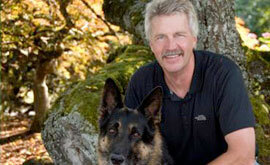 Before starting his own practice, Dr. Cleland was part of the Carlton Vet Hospital veterinary team for over 10 years. Michael Salewski, DVM, is the founder and sole practitioner at his own practice, Hindsight, where he utilizes the modalities of chiropractic and Chinese medicine (acupuncture, herbal medicine, and dietary therapy) to treat equine athletes. Dr. Salewski graduated from the Virginia-Maryland Regional College of Veterinary Medicine in 1990. In addition, he is trained and certified by the American Veterinary Chiropractic Association and the International Veterinary Acupuncture Society. He also has extensive instruction in the use of Chinese herbal medicines and food therapy.